Railroad and tramway vehicles are consistently exposed to some of the toughest challenges imaginable, from an environmental and operating standpoint to tight budgets, green initiatives, timely service, and the lofty expectations of passengers. A wide variety of factors including extreme weather, high or low temperatures, corrosion, contamination, high loads and shocks can affect bearing performance. 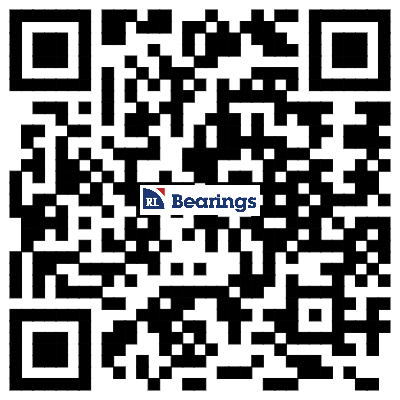 If the bearings are not engineered to be resistant to such harsh conditions, dangerous and costly damage can occur. Worn bearings can lead to a number of undesirable results, including unforeseen vehicle maintenance downtime, excessive noise, and increased vibration—all of which contribute to lower passenger satisfaction and decreased profitability. In addition, worn bearings reduce vehicle efficiency, resulting in increased energy consumption and carbon emissions (for diesel vehicles). As a result, the railroad industry requires high performance bearings capable of not only meeting environmental and operating requirements but also economical goals. GGB’s fiber reinforced composite (FRC) bearings have proven to be a superior replacement to traditional metal bearings in terms of durability, corrosion resistance and performance in a wide variety of rail bearing applications. Metal-polymer bearings, such as DP4®, and engineered plastic (EP) bearings are lightweight, durable solutions for interiors, hinges, ramps and pantographs. Seattle’s SoundTransit has been servicing the city’s occupants for nearly 30 years; however, the company noticed a serious issue with its rail commuter services as its vehicles became more and more outdated. The metal pivot pin and wear plate located in the bogies of its vehicles emitted a distracting amount of noise for its passengers during transit, resulting in a less than ideal experience. To help alleviate the problem, GGB designed a rail bearing solution utilizing an HPMB® king pin plain bearing and HPF® flat sliding bearing that eliminated noise emissions. In another application story, Holding Graz Linien, out of Austria, turned to GGB when the company was in the market for a pin joint solution that resulted in smooth, maintenance-free, long-lasting operation with zero noise emissions. Once again, GGB answered the call, this time by designing a solution that incorporated GAR-MAX® plain bearings and HPF® flat sliding bearing segments to satisfy their requirements. Now, it is being used for all their pin joint restorations. Providing exceptional benefits and lower costs, GGB is capable of far more than merely high load capacity applications. GGB’s engineered plastic bearings also provide a cost-effective solution for lighter load applications, such as windshield wipers or seat hinges.